The Applicant has the right or option to complete and submit the application in paper or in nonelectronic form. The Applicant has the right to withdraw his or her consent to have the record provided or made available in an electronic form and of any conditions, consequences (which may include termination of the parties’ relationship), or fees in the event of such withdrawal. The Applicant’s consent applies only to the electronic submission of the WMI Application. The Applicant may withdraw his or her consent and may update his or her contact information by notifying WMI in writing and mailing such notification to WMI Mutual Insurance Company; PO Box 572450; Salt Lake City, UT 84157-2450. 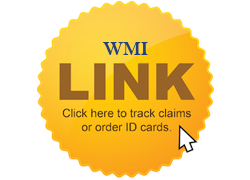 The Applicant may obtain a paper copy of the Application free of charge by requesting one from WMI. The Applicant may request an electronic copy of this Application. If requested, an encrypted copy of this Application will be mailed to Applicant via ZixMail. Once unencrypted, it may be retained and stored on the Applicant’s personal computer as a pdf document.